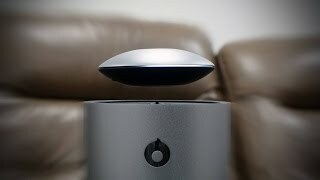 The speaker system looks super-cool, and that's before you see the auto-levitation in action. The Mars supports a wireless range of up to 30 meters--almost 100 feet. The unit is waterproof. 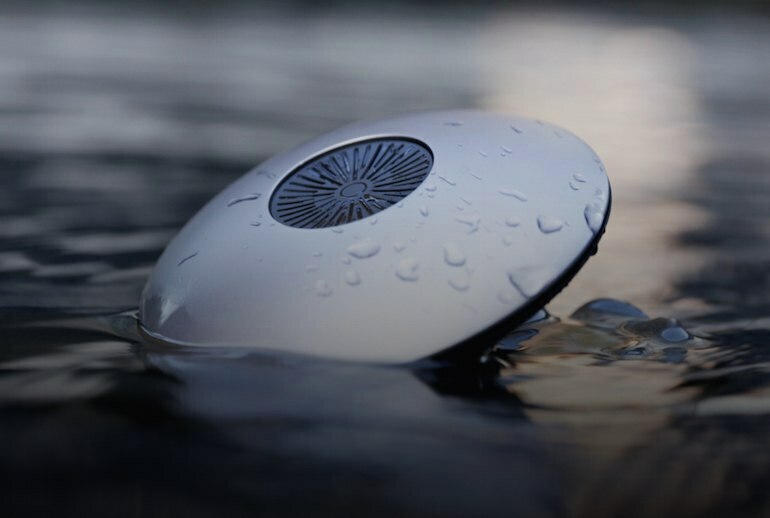 The company says the speaker will continue to work after being submerged in up to 3 feet of water. Reports about the audio quality are mixed; some folks are not impressed with the sound performance. Depending on your preference, you might be disappointed in the volume level: For many users, it's too low for a speaker this size. Setup instructions are minimal, so you may have to do some extra legwork to get up and running. We can't deny it: A flying saucer-like speaker that hovers over a cylindrical base is pretty slick indeed. The Mars by Crazybaby brings you levitation technology, which lets the "craft" rise when playing music, and it spans 360 degrees to optimize the best sound experience. 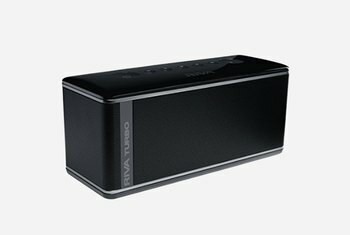 The base functions as a subwoofer, and it can double as a speakerphone. 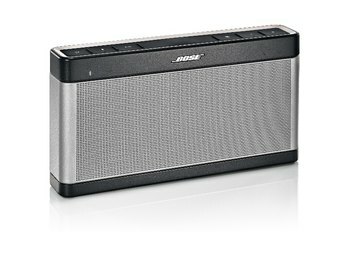 Plus, the base has two USB ports to charge your devices, as needed. 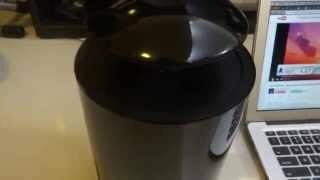 When the craft's juice runs low, it lands on the base for auto-charging. Available for iOS and Android, the company's crazybaby+ app provides controls for levitation and auto-volume adjustment, along with custom sounds, including bass enhancement and outdoor mode. The sound is excellent. The materials are excellent. Even the packaging was impressive...The app is a little squirrelly. Going between the crazybaby+ app and other music apps can stop the music or freeze the crazybaby+ app; requiring a restart of the app. We don't expect gimmicky Bluetooth speakers to sound particularly good. We also don't expect them to be particularly expensive. The Mars by Crazybaby surprises on both counts. It's made up of two pieces: a bottom subwoofer portion, and the top, UFO-like "Mars Craft." 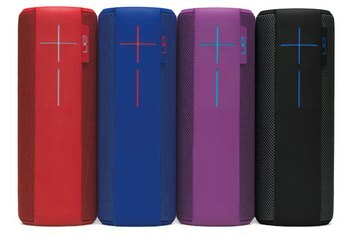 Each of these units has its own battery — the Craft can actually be taken on the go and used as a regular old Bluetooth speaker. We can say, with certainty, that this speaker will be a conversation-starter whether perched on an executive's desk, or floating above an Ikea "Lack" side-table at a dorm room party. There’s no other speak system like the Mars by CrazyBaby Levitation. Using a disc-shaped speaker that lifts up into the room, your sound is projected into the room clearly and audibly. It’s just such a crisp audio quality. 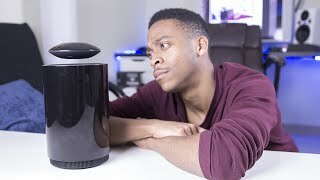 No one needs a Bluetooth speaker with a magnetically levitating tweeter atop a monolithic subwoofer. But no red-blooded gadget freak will be able to resist the Crazybaby Mars, which, despite a Pointless Score of 10, has a Cool Factor of 50. [A] unique twist here is that you can set the Mars to automatically lower and raise its volume as you get closer and farther away from it. Also the speaker will automatically drift down to its base when it runs out of charge and will float back up once it's gotten juiced again. Apart from the seeing the amazing feat of a floating levitating disk on powerup, the sound from this thing is superb! 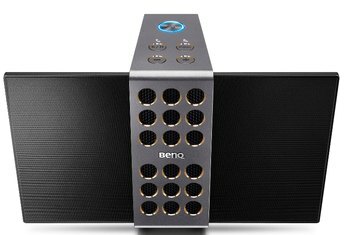 It fills my house with deep bass thanks to the subwoofer abilities of that lower section of the speaker, and the UFO attachment flies proud while reproducing the rest of the sonic spectrum with highs and mids that don’t get lost in the bass response, but are also not too brittle. 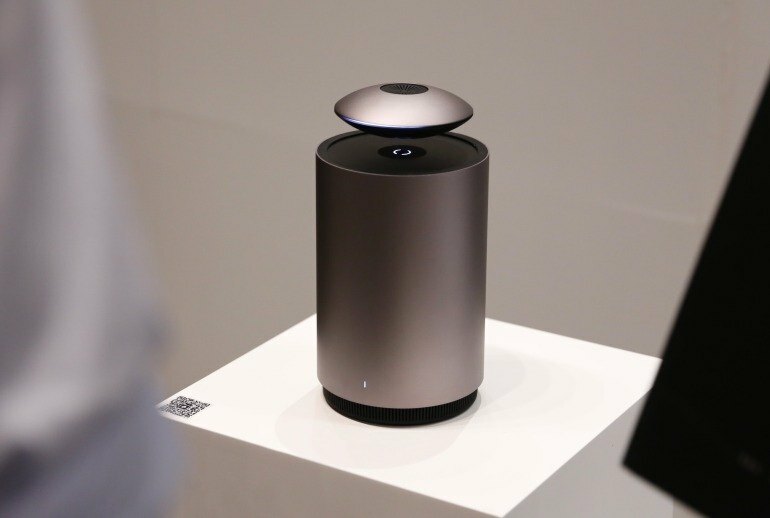 In many ways this is a Bluetooth speaker to end all Bluetooth speakers. 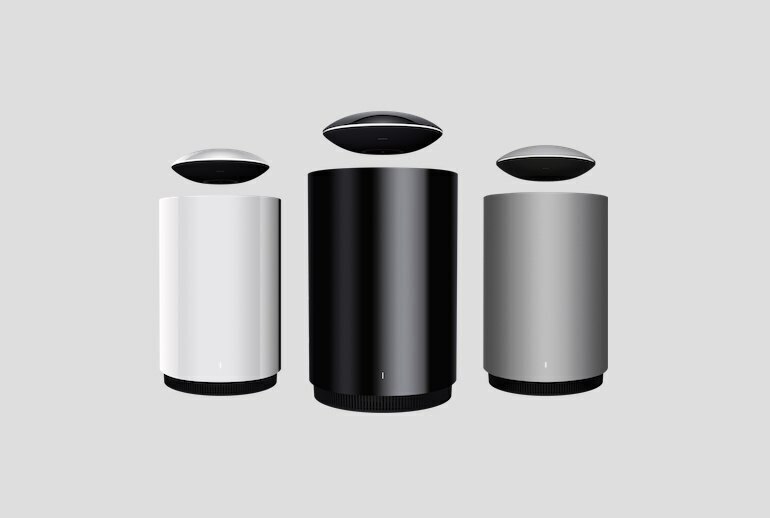 Made of aircraft aluminum, it incorporates both a high-range loudspeaker and a sub-woofer. In regards to audio quality I will start by saying this; I wish that the Mars was a BIT louder. You’d think that for such a heavy and large Bluetooth speaker (where the audio comes from both the Subwoofer, as well as the floating discus) that the audio would actually get to be a bit louder. Another cool element is the Mars’ auto-adjusting volume feature, which detects how far away your smartphone is and turns itself up or down accordingly. But if you’re looking to broadcast sound to a huge room or in the great outdoors, it may not be quite adequate. However, if you want your music with a side of spectacle, it’s tough to beat the Crazybaby Mars. Pick one up and you can expect to regularly have a line-up of people asking to see the flying saucer speaker in action.